Family Guy isn’t going away anytime soon. Recently, it was revealed the FOX TV show has been renewed for a 15th season, SpoilerTV reports. The long-running animated sitcom features the voices of series creator Seth MacFarlane, Alex Borstein, Seth Green, Mila Kunis, and Mike Henry. 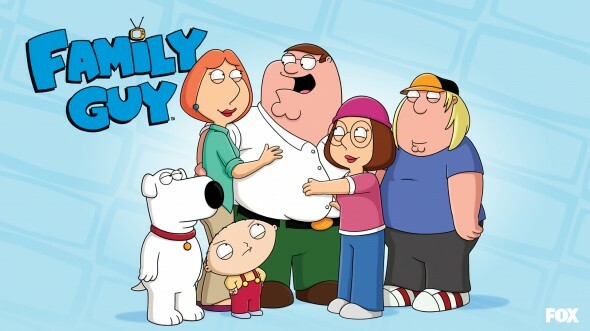 Despite a decline in viewership, Family Guy is still managing decent ratings more than 15 years into its run. Season 14 of the series is averaging a 1.32 rating in the 18-49 demo and 2.856 million viewers, making it one of FOX‘s highest-rated shows for the 2016-2017 season. Though the numbers are falling each season, it seems there are still some loyal fans of Family Guy out there. What do you think? Do you watch Family Guy? How many more seasons do you think the show should last? I love Family Guy, it’s one of the best shows ever made, I will always continue to watch it. I hope the show goes on for at least another 10 or more years! Stewie is the greatest! I love the show too. 16 seasons and more will be awesome. I’ve been watching since 1999 and still watching it now. Family Guy should go on for at least 5 more seasons! I’m 20 and my friends and I have always watched the show and still do. I’m convinced the only reason for a drop in the ratings is that me and my friends don’t watch the new episodes when they come on, we binge watch them when they come to Netflix along with all the old episodes.